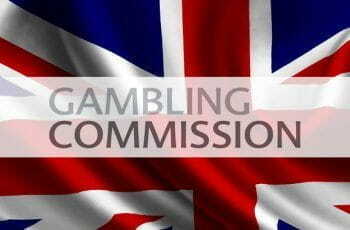 The UK Gambling Commission (UKGC) has released a series of new rules that will be imposed on gambling operators, aiming to make online gaming fairer and safer for players. The new regulations centre around identity verification and preventing underage gambling. The new regulation, which will come into effect on the 7th May 2019, will require all operators to verify customers’ ages before they can deposit cash into their account or gamble either with real money, free bets or bonus funds. The UK Gambling Commission announces stricter ID-verification requirements for online gambling. In addition, operators will not be permitted to “prevent a customer from withdrawing funds from their account due to a requirement for additional information”, so long as the operator could “reasonably have requested that information from the customer earlier”. The new regulations also include amendments pertaining to operators’ social responsibility. 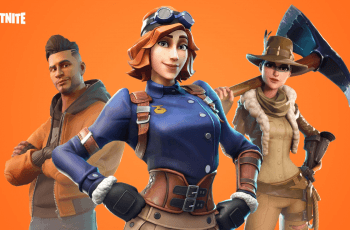 Although the Commission recognises that free-to-play products do not constitute gambling, they will still be included in the changes designed to protect young players. In a document explaining the changes in full, the UKGC explained that, while most respondents to a consultation process do not view free-to-play games to be directly related to gambling, players accessing free casino games “are directly exposed to real money gambling opportunities”. As such, operators will also be required to verify age and identity before allowing an individual to play such products. The reason being that the Commission sees “no legitimate reason why [free-play casino games] should be available to children”. What Was the Situation Previously? Up until now, operators were required to verify the identities and ages of all customers within 72 hours of their registration on a site. This led to a culture of only requiring checks to be carried out when a player attempted to withdraw funds from a site. This was in line with anti-money-laundering regulation. As such, many punters have been able to deposit funds and place wagers before being asked to confirm their identity through any verifiable checks. One of the main problems with this was the perceived alarming figures of self-excluded players being able to register and play at different sites. The current changes come after an extended period of reflection on such problems in the industry. Why Did the Change Come About? In March 2018, the Commission released the results of research stating that “some operators were treating customers unfairly by requesting additional identity information when the customer attempted to withdraw winnings”. Around 15% of complaints […] were about licensees not allowing a customer to withdraw funds until they submit certain forms of ID. It is clear that the rules come in response to a general sense that more needs to be done by the Commission to protect problem gamblers and those at risk. In particular, the focus is on reducing the effect of gambling harm on children. In July 2018, the UKGC published a report on the harms of gambling, which highlighted the economic and social costs of problem gambling. Neil McArthur, Gambling Commission Chief Executive, said, “These changes will protect children and the vulnerable from gambling-related harm, and reduce the risk of crime related to gambling.” He continued, stating that the new regulations “will also make gambling fairer by helping consumers collect their winnings without unnecessary delay”. With the new rules coming into force on the 7th May 2019, the mood among regulators and politicians appears to be optimistic. The feeling is that these regulations will force operators to take more care over who they allow to gamble online. Alongside the implementation of these changes, the UKGC is looking to gain insight into how licensees intend to react to the regulations. Through this consultation process, the Commission will also “make explicit” how operators will be expected to comply with each individual requirement and educate them on how to interact with players at risk of problem gambling. Finally, the Commission intends to request evidence from each licence holder of satisfactory software that will be used in order to remain in compliance with the new regulations. There have been few responses from companies in the industry, and as yet it remains unclear whether or not these alterations to requirements will be met gladly or whether they will face resistance.